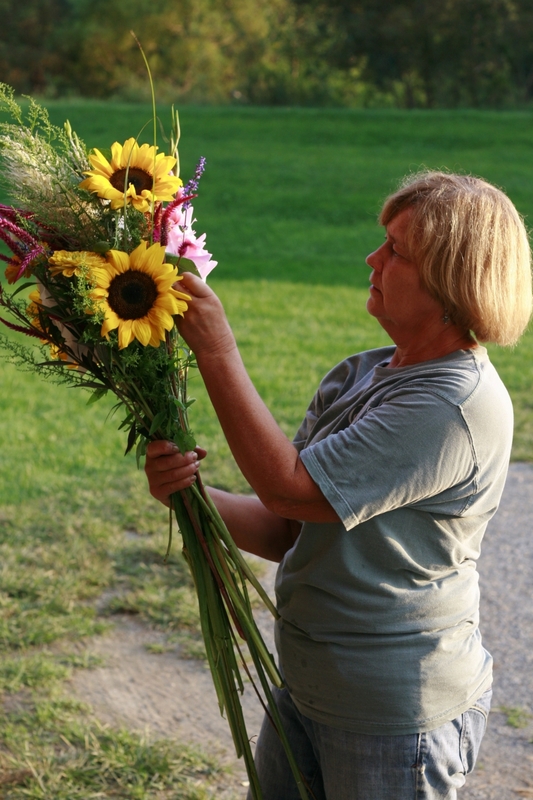 Blue Heron Farm has a loyal group of flower lovers who pick up a bouquet of fresh, seasonal flowers each week. The CSA runs for 18 weeks from mid-May through mid-September. The size, color, and variety of flowers vary throughout the season, showcasing the best of what's in bloom. Many farmers use the CSA model to market their vegetable crops, but the same principles apply for flowers. By paying for the season in advance, members invest in the future of the farm and the farmer gets "seed money" in the spring when there are lots of expenses, but no other income from the farm. As farmers, we appreciate your faith in us to produce beautiful flowers all season long, and we love getting to know the folks we're growing and arranging for! Thursday evenings from 4:00-6:00 pm, at 5th Season Gardening 900 Preston Ave.